An Inkshares Evening with Samuél L. Barrantes and Yann Rousselot. Dan Gunn on The Emperor of Ice-Cream. And talking of history, we wanted to share this article from the lovely people at AnOther magazine. It’s an extract from our forthcoming history book, Shakespeare and Company: The Rag & Bone Shop of the Heart, which we’re hoping to publish this autumn, and details the early years of the store—including that notorious naked poetry reading by Ginsberg and Corso in ’58. We hope you like it, as there’s much more to come. 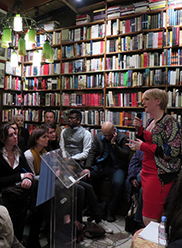 Most events take place upstairs in the library (30 seats), on the ground level (50 seats), or outside in front of the bookshop (weather permitting). During the events, the sound from the readings and discussions is projected around the entire store. We recommend you arrive 15-30 minutes early to try and get a seat as there is limited space. All our events are free and open to all. I've been getting forlorn looks reading this book in public, but it’s fascinating. 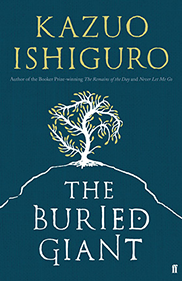 Written by a surgeon, it’s a sort of social history of aging, death, and the institutions around it. Gawande takes examples from his personal life, comparing his grandfather's experience in India with a family member in America and the cultural differences in attitudes. 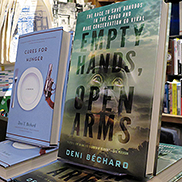 He explores the emotions of aging, the desire to remain independent, our denial of the inevitable, and the changes brought about by the massively increased numbers of people living until old age. 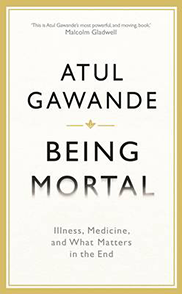 It may seem a morbid subject but Gawande writes in a matter-of-fact way, combining personal reflections with research on this important subject. 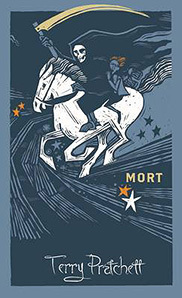 The Buried Giant is a profoundly weird (in a good way), mystic, epic, literary fantasy, but like all truly good books makes most words seem a bit inadequate. It’s a wrenching exploration of the cost of war and what it means to remember—and, by extension, and most movingly to me, of marital love. Axl and Beatrice, the old couple at the centre of this story, are battle-scarred by their long life together, but tender and triumphant too. It’s mundane on the face of it: a writer travels to Greece, listens to and recounts the outwardly banal stories she hears from those she meets. The ‘outline’ is naturally therefore that of the self, identity as a shadow cast in relief from those around us… the impossibility of an eye that alone can say ‘I’. 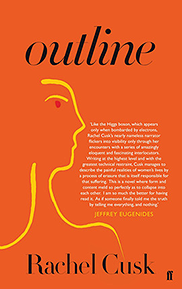 This is all truism, that the simplest of all things can only ever be articulated obliquely, but Cusk’s true métier lies in her spartan prose, deftly carving the silhouette of this elliptical self with ruthless economy, a knife-sharp ear for what matters most and nothing but. 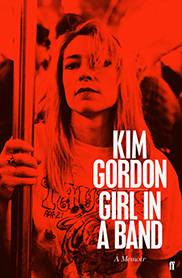 In this memoir, Kim Gordon, bassist in legendary NYC noise/punk quartet Sonic Youth, focuses on her split with Thurston Moore, her California childhood, her relocation to Reagan-era lower Manhattan, and her history in the band. It's fascinating to read about the underground scene of ‘80s Manhattan and its cast of characters against a backdrop of trash-strewn streets, prostitutes, drug dealers, rock n' roll clubs, and dingy rehearsal spaces. We also hear about Gordon's relationships with friends such as Kurt Cobain, not to mention a mountain of rock n' roll history, and insight into many of Gordon's lyrics. It’s written with heart and clarity and portrays the type of person Gordon is: extremely creative, shy and sensitive, and very powerful. 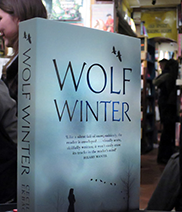 The expression ‘laugh or cry’ crystalized in book form and a glorious, tragicomic explosion of a tale. We follow two sisters, Elfrieda and Yolandi: one wants to die, the other wants them both to live. Suicide has never been funnier. Or sadder. 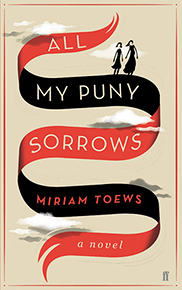 Toews is a genius and I’m buying every other book she’s ever written. The First Bad Man is everything you want from a novel: it will draw you in, surprise you, repulse you, and attract you all at the same time. It’s the weirdest love story and an amazing, very fresh approach to the topic of motherhood, and womanhood in general, and July's voice is so strong, funny, and uncompromising. 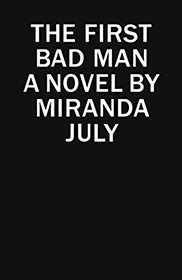 In its narrative style, grotesque plot ideas, and protagonists' absurd characteristics, it echoes Gombrowicz, Beckett, Lorrie Moore, and Ann Beattie all at once, and yet it remains July's very unique work. Definitely one of my favourite books of the year. 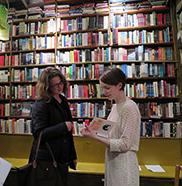 See Danielle’s full bookshelf and other bookshelves lovingly built by booksellers. 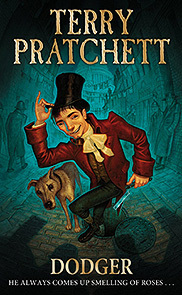 The 8th Discworld novel and the first that introduces us to the Ankh-Morpork City Watch, this is the first Pratchett I ever read and has a very special place in my heart. 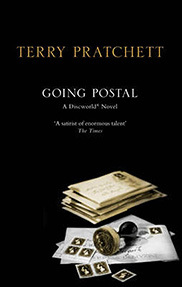 This was Pratchett's first work to be nominated for the Nebula, Locus, and Hugo Awards. It follows the tale of the wonderfully named Moist von Lipwig, a skilled con-artist turned postman. "Death comes to us all. But when he came to Mort, he offered him a job." 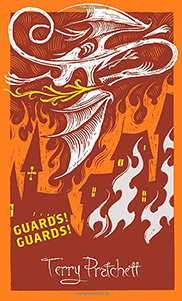 The 4th novel in the Discworld series and the first that focuses on the wondrous, talking-only-in-all-caps character of Death. Inspired by Dickens' character the Artful Dodger, this delightful read, aimed at children, follows the adventures of Dodger, a self-proclaimed "geezer" despite his age, through Victorian London. 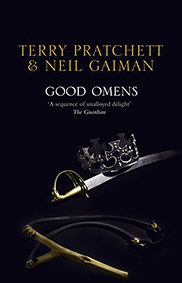 Co-written by Terry Pratchett and Neil Gaiman, this novel is a staple of any fantasy and science-fiction bookshelf and one of my all-time favourite books. 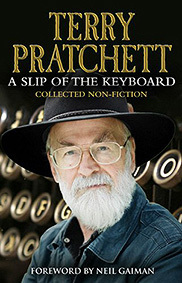 A brilliant collection of Terry Pratchett's non-fiction and essays that provides invaluable advice to budding fantasy authors! These gorgeous canvas bags, featuring illustrations by Joanna Walsh, are perfect for carrying lots of books! The tote is made in India by Re-Wrap, a company helping disadvantaged communities gain economic independence.